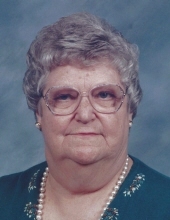 SWOOPE – Lula Alberta (Armstrong) Losh, 80, of 1306 Buffalo Gap Hwy., died Saturday (November 24, 2018) in Kings Daughters Nursing and Rehabilitation Center. Born May 8, 1938 in Highland County, she was a daughter of Leonard Stanley “Bunnie” and Lona Mae (Gwin) Armstrong.Lula loved working with children, and in years past enjoyed serving as a children’s Sunday school teacher at Jerusalem Chapel United Brethren in Christ Church where she was a long-time member, and as a Weekday Religious Education assistant at Churchville Elementary School. She especially treasured time spent with her own grandchildren. In recent years, she enjoyed completing adult coloring activities and watching birds. She was preceded in death by her parents; her husband, Stanley Hedrick Losh; a son, James Losh; and two sisters, Lorina Belle Armstrong and Shirley Louvon Armstrong. Surviving are two children, Dennis Losh, and Susie Griffin and husband Harry, all of Swoope; two brothers, Virgil Armstrong of Mill Gap, and William Armstrong and wife Judy of Churchville; two sisters, Frances Brown and Betty Goin, both of Staunton; eight grandchildren, Wendy Riley and husband Stacy, Beth Shaver and husband Chris, Ben Griffin and wife Danielle, Brittany Griffin, Tiffany Losh, Lisa Drum, Rebecca Losh and Joshua Losh; nine great-grandchildren, McKinzie Edwards, Jake Riley, Tucker Bell, Tyler Griffin, Lily Losh, Jacob Losh, Keira Lovelady, Grayson Shaver and Kennedy Shaver; and a number of nieces and nephews. A funeral service will be held 11 a.m. Wednesday, November 28 in Jerusalem Chapel United Brethren in Christ Church, officiated by Pastors Dennis Sites and George Etling. Burial will follow in West Augusta Cemetery. Active pallbearers will be Josh Losh, Ben Griffin, Michael Cook, Anthony Morris, Sam Houston, Don Hager, David Sprouse and Ron Bogan. Honorary pallbearers will be Doug VanLear, Linda Hager, Debby Houston, Oakley Huffer and Diane Huffer. The family will receive friends from 6:30 to 8 p.m. Tuesday at Bear Funeral Home. Memorials may be directed to the missions fund of Jerusalem Chapel United Brethren in Christ Church, 314 Chapel Rd., Churchville, VA 24421. Condolences may be expressed to the family online at bearfuneralhome.com. "Email Address" would like to share the life celebration of Lula A. Losh. Click on the "link" to go to share a favorite memory or leave a condolence message for the family.